Breast Cancer Awareness Necklace Only $5.95! You are here: Home / Great Deals / Breast Cancer Awareness Necklace Only $5.95! 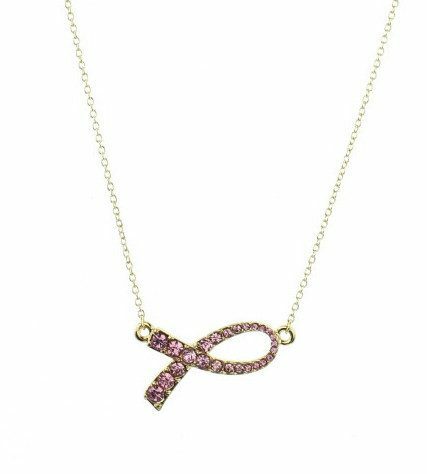 Show your support by getting this Breast Cancer Awareness Necklace for Only $5.95! Design is a 14″ chain necklace with 1.5″ X .75″ pendant featuring pink jeweled detailing. Available in gold or silver, also makes a wonderful present!